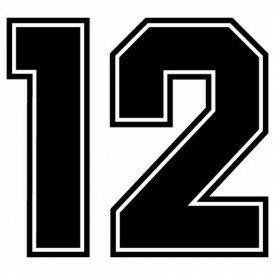 A once in a lifetime event, 12-12-12 brings together the energy of the numbers 1, 2, 3 and 12. This powerful combination marks a brand new start, coming together possibly in new ways, creating, expanding, exploring, connecting and fully expressing who you really are. To get a clearer understanding of how this works, we’ll look at each of the numbers separately and then use “divine addition” to blend and expand. 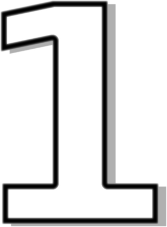 Number 1 – “I am.” This marks the start of a cycle, initiating new thoughts and actions, and is a sign of originality, ambition, courage and change. You feel excitement and wonder as you step into new beginnings of all kinds – from relationships to career, health and finances (to name a few)...the opportunities are limitless within the energy of the number 1. Think of yourself as a pioneer complete with curiosity, courage, initiative and energy. You are ready to move forward…on your mark, get set…GO! Number 2 – “We are.” The number two is a number of balance, blending, relationship, choice, partnership and sometimes duality. The number 2 brings together two “ones” for a synergistic explosion. Two brings into account things that are necessary when more than one are involved…for example: communication, relationships, patience, diplomacy, tact, compassion, sympathy, cooperation and caring. Not only a single point (as in the number 1), the number two (two points which form a line) provides direction. You are not only off to a great start, but you now know which direction you are headed. Number 3 – “We create.” When two come together with true intention and purpose, the sky is the limit! Partnership can result in offspring, children, new plans, creative ventures, happiness, enthusiasm and expanded energy. 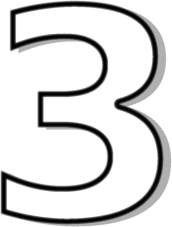 Geometrically, three points indicate not only direction, but stability, as three points geometrically make a plane, a surface or platform on which to create. The blending of three energies magnifies the power of two exponentially. Think of the energy and ideas generated in a brainstorming session with three or more people. Here you blend the powerful energy of 1, 2, and 3…potentially unstoppable! For me today’s date, 12/12/12 brings a feeling of energy, hope, new beginnings and purpose. It’s time to more fully step into my divine purpose on earth, whether it is through life coaching, teaching yoga, providing intuitive guidance or raising my three teenage boys. I have great purpose on this earth and am so very grateful. Speaking of grateful...I want to wish my sister, Lori (Lavendar Luz) from www.writemindopenheart, a very Happy Birthday! I hope you have a great day! With these insights, what does the date 12-12-12 mean for you? Thank you for addressing this! I knew that 12/12/12 was laden with meaning (duh!) but I LOVE the I-Am-We-Are-We-Create behind it.